Thanks to Suffolk County Council, the sign I’d previously requested and got agreement for at the Knettishall Cross-Roads was finally put up a few weeks ago. 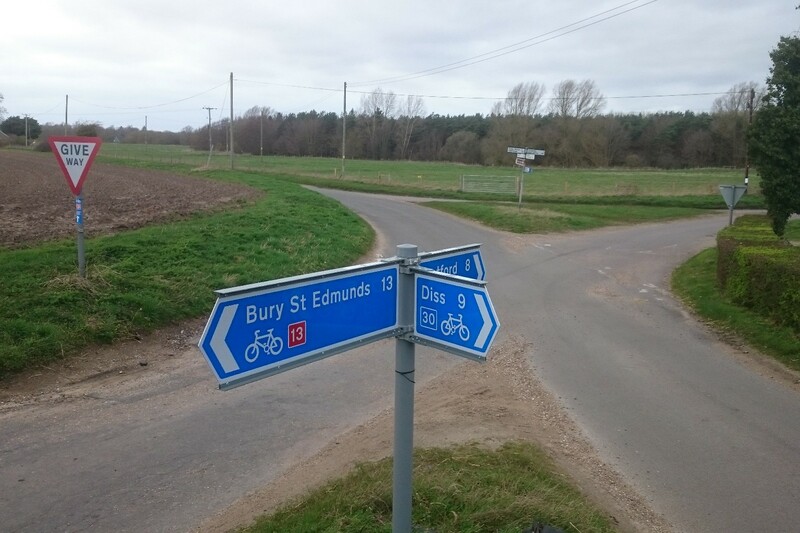 The new sign is at the junction of NCN Route 13 and RCN Route 30, and should help clear up any confusion at this hard-to-sign location. 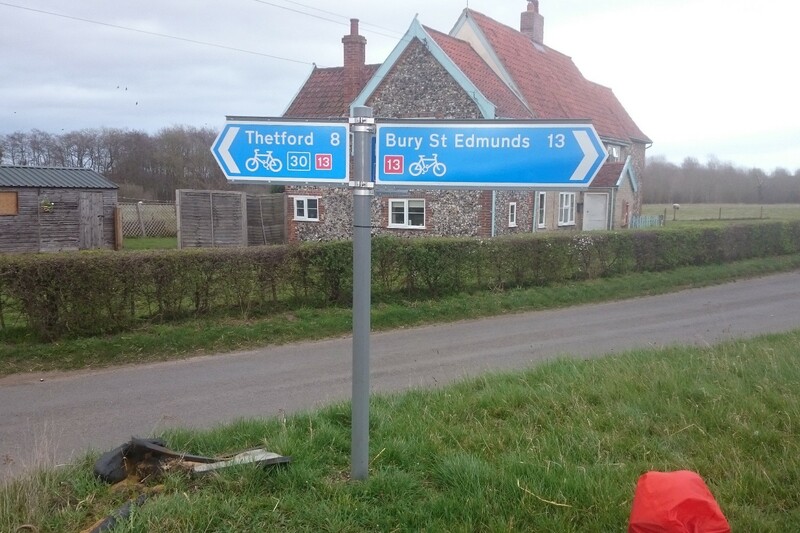 Unfortunately we were never shown the final designs before the sign was put up, and the original sign was missing the Route 13 patches on the arm pointing towards Thetford. I’ve been able to correct that reasonably well with the Sustrans stickers, although on one side the extra number isn’t technically in the right place. Also, the distances on the sign seem a bit short by my measuring, so I’m not sure how they were calculated.